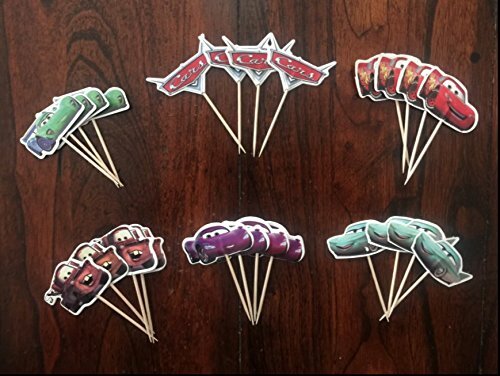 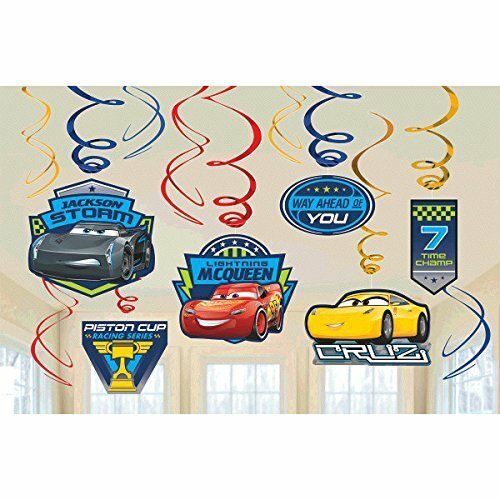 Package Includes: Foil Swirl Decorations - 6 Pcs Foil Swirl Decorations with 7" Cutouts - 3 Pcs Foil Swirl Decorations with 5" Cutouts - 3 Pcs WARNING: CHOKING HAZARD - SMALL PARTS NOT FOR CHILDREN UNDER 3 YRS! 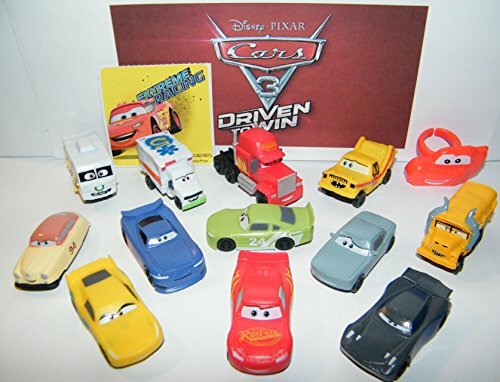 ONLY USE WITH ADULT'S SUPERVISION! 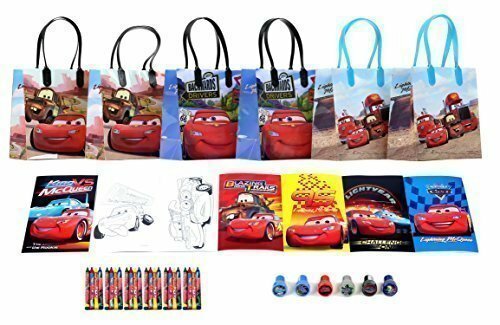 Disney Cars Party Bag x 6 (In Random Assorted Designs), Size: 6.5 x 3.5 x 7" Disney Cars Coloring Book x 6 (In Random Assorted Designs), Size: 8 x 6" Disney Cars Mini Crayon x 24, Size: 3.5" Disney Cars Self-Inking Stamp (In Random Assorted Designs) x 6, Size: 1.5"
Lightning McQueen is all fired up and ready to wish your little one a happy birthday! 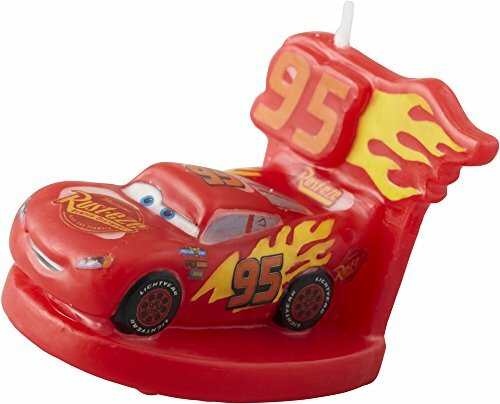 this Cars 3 birthday candle features Lightning McQueen on a Red pedestal with the Number 95 and flames above him. 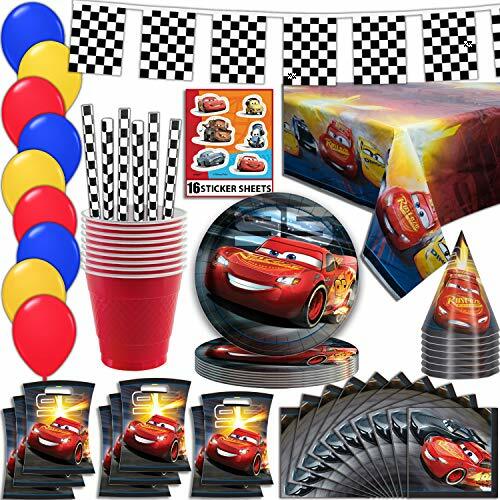 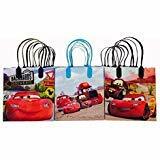 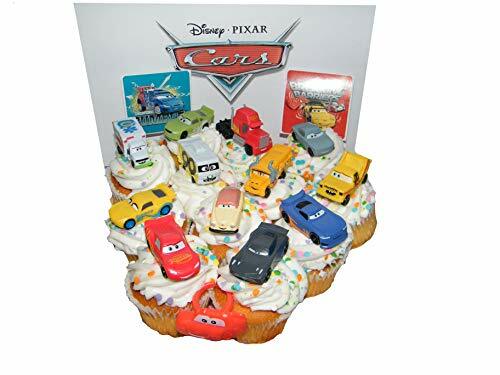 Size: 17" x 17" x 4"17\" x 17\" x 4\"
Disney Cars 3 12 Authentic Licensed Party Favor Reusable Medium Goodie Gift Bags 6"